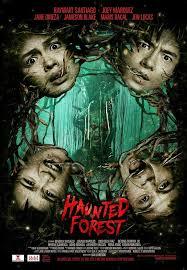 Haunted Forest is 2017 Supernatural Horror Film; Starring Raymart Santiago, Jane Oineza, Maris Racal, Jameson Blake, Jon Lucas, Joey Marquez and Myrtle Sarrosa. Directed by Ian Lorenos and Produced under Regal Films. This film is an official entry to the 43rd Metro Manila Film Festival. The Film follows NIca (Jane Oineza) and his father Aris (Raymart Santiago) a police inspector reassigned to their province to investigate a mysterious death of a woman, one similar to a childhood friend that still haunts him. Nica and her cousin, Mich (Maris Racal) along with their friends RJ (Jameson Blake) and Andre (Jon Lucas) went on an outing which leads the ‘sitsit’ a mythical creature that targets woman at night to prey at her. ‘sitsit’ is believed to be the cause of the sudden disappearance and death of the women in town. When the ‘sitsit’ slowly devour Nica’s sanity, her father does everything in his power to save her. Every year, regal films always makes sure they have horror movies for filipino fans every year at the Metro Manila Film Festival. And this year, Director Ian Lorenos, decided to create a horror film based off filipino folklore. The plot itself is interesting seeing as that it tackles the form of horror through a filipino myth. From the same people who brought you the ‘ Shake, Rattle and Roll’ franchise every year. Ever since the iconic horror movie franchise stop, the production team made sure that they still have something to give the fans. 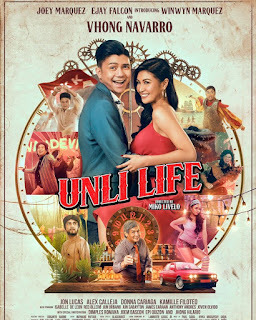 Filipino’s are well known horror movie lovers and for Regal Films to present a unique story line every year keeps the fans coming. For horror movie enthusiast don’t forget to check in cinemas near you as this film is a must watch.